What's it really like to drive the cars from Gran Turismo? 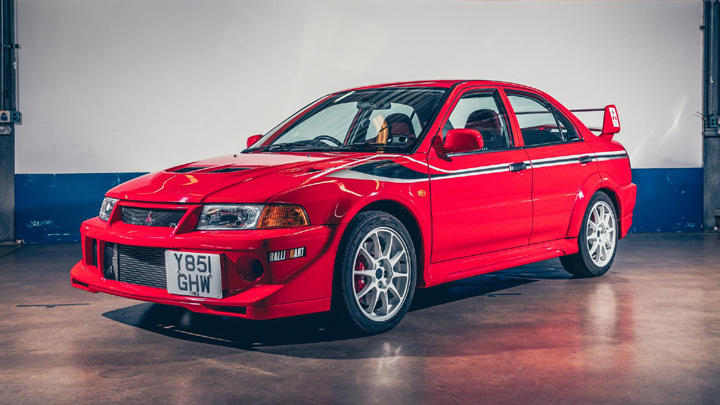 One of motoring’s greatest icons is 20 years old. Nope, none of the cars scattered across this page. I refer to Gran Turismo (GT), which made racing simulations cool. It was inherently nerdy and unashamedly deep in its detail, yet comfortably became the original PlayStation’s bestselling game. It’s Sony’s bestselling game franchise, full stop. The six cars you see here represent familiar faces from every single version, and GT cemented their place in performance car folklore. 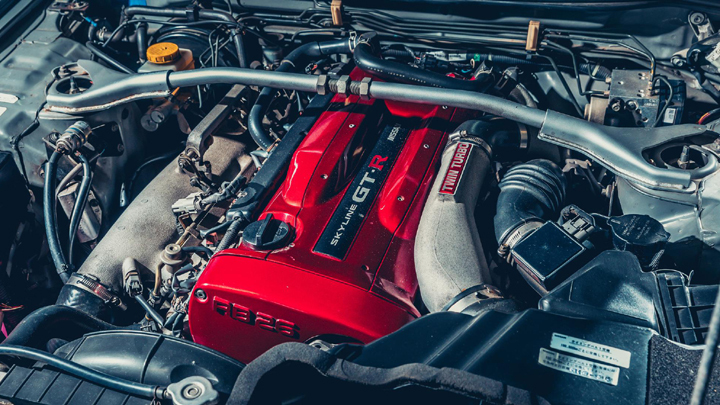 Yes, the Honda NSX had Ayrton Senna on its development team, the Nissan Skyline GT-R’s heritage goes back to the '60s, the Mazda RX-7’s rotary engine was revolutionary, the Toyota Supra has its own tuning subculture, and the Subaru Impreza and Mitsubishi Lancer Evolution possess a list of rallying accolades that could fill the rest of this feature. But those are things gearheads know. GT put these cars in the living rooms of anyone with a PlayStation. 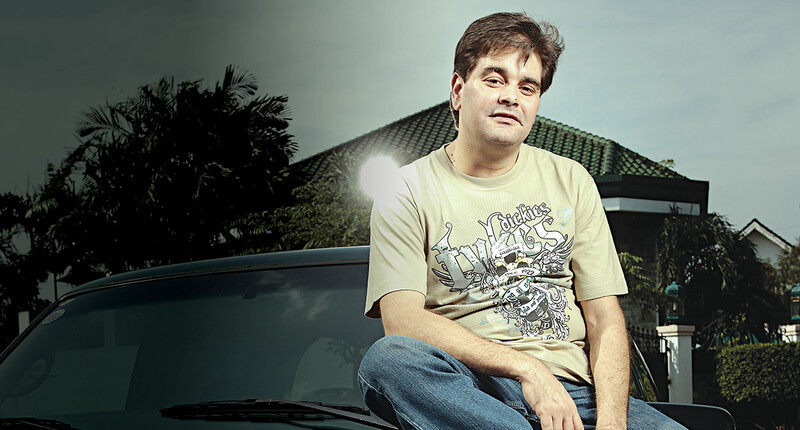 It was unprecedented access to fast cars for those who couldn’t afford them. And, crucially, those who weren’t yet old enough to drive. Playing GT was a formative experience for me; it launched when I was 10. And today, at Rockingham race circuit, I’m driving its cars for real. The agonizing scrolling through the game’s selection screen has been made real. I’m a bit giddy and don’t know quite what to do. Helpfully, the six cars naturally split themselves off into pairs. 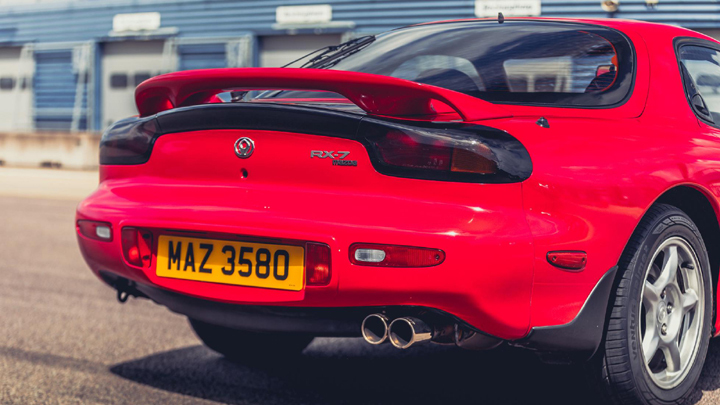 The Mazda RX-7 and Toyota Supra were ‘FR’ cars in GT—front-engine, rear-wheel drive—and present a very interesting comparison. I found the RX-7 achingly pretty, even in pixel form, and it’s lovelier in real life, especially one as standard as this. Though it does feel more comfy cruiser than sports car inside, with a squashy seat and oversized wheel. For the first lap or two it’s easy to wonder what all the fuss is about—there’s lots of roll in the corners and it’s not particularly quick. But that’s below 4,000rpm. Push beyond that, and as the second of its twin turbos spools up, the full 252hp comes loudly on song. You need to work the RX-7 hard for its edge to be revealed, and what emerges is incredible turn-in. 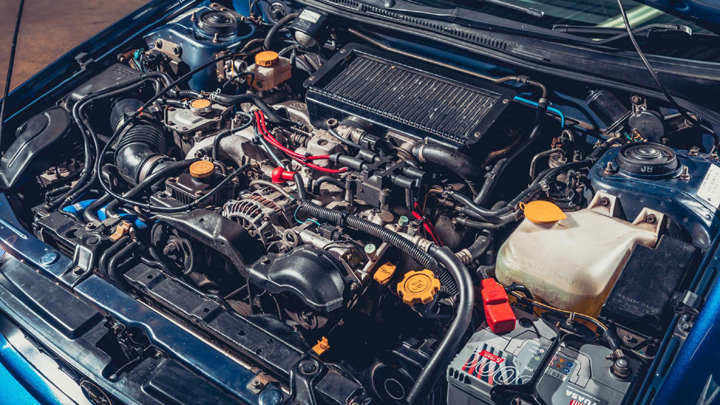 Its rotary engine is just 1.3 liters in size, so there’s barely any weight at the front. Which leads to the trepidation of loading up the rear tires. GT taught me this car can bite, and it was a b****r to drive electronically. 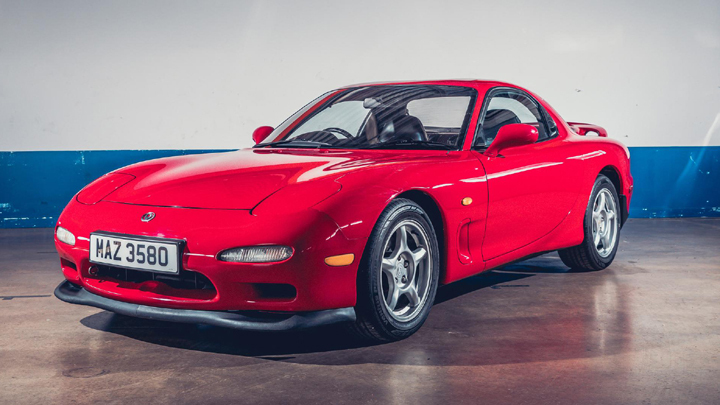 But on an actual circuit, with the benefit of all that lean and some heavy steering, the RX-7 throws up lots of helpful clues as to what its chassis is doing. Oh and its gearchange, operated by a short, stubby lever, is superb. The Supra feels much more substantial than the dainty Mazda. It’s almost 300kg heavier, and it feels it on turn-in, particularly given its 3.0-liter straight-six engine dwarfs the RX-7’s rotary. It also has distinctly cruiser vibes inside, particularly as this car (provided by owner Adam Wade) is an automatic. Fathoming how to change between its four speeds is far trickier than pressing the shoulder buttons of a PlayStation pad, but it’s worth persevering. 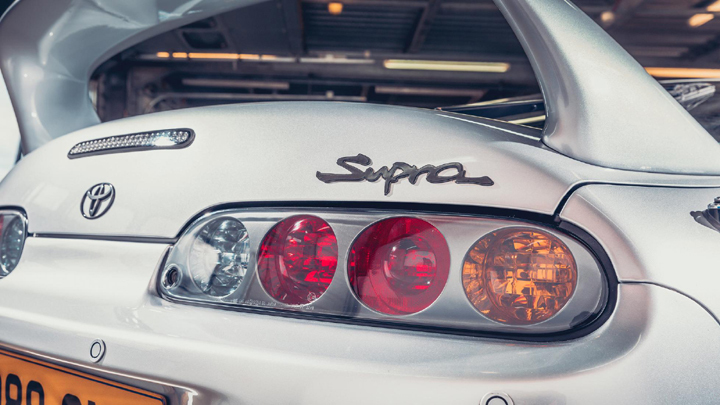 Like the Mazda, the Supra is all about revs, and above 4,000rpm, it’s just explosive. 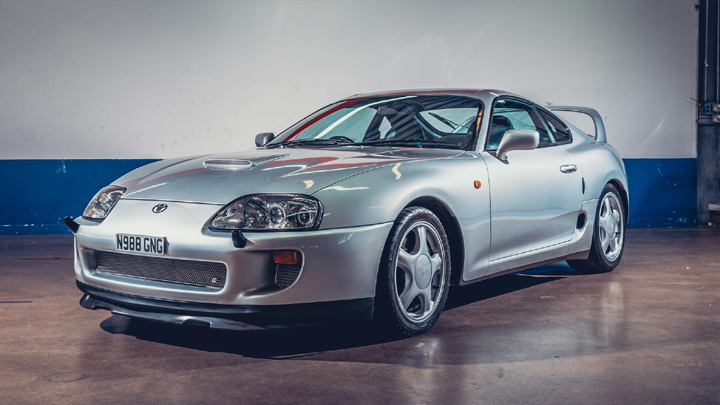 A UK-spec Supra had 330hp; Adam’s is tuned to around 400hp, and its surge to the red line is far quicker than is practical when you’re driving someone else’s car. 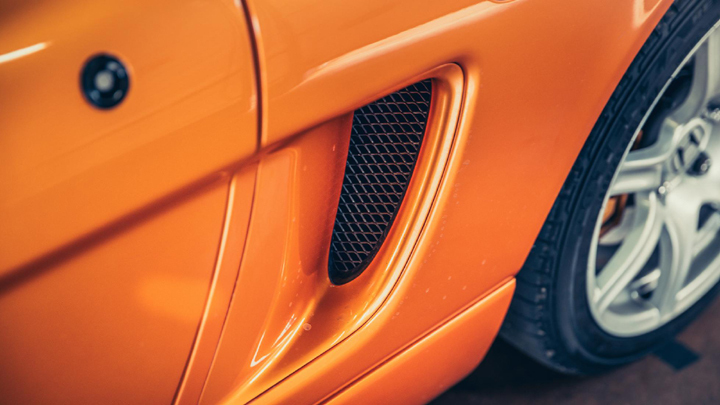 Like the RX-7, there’s welcome roll in the chassis and weight in the steering, so you won’t necessarily spear off into the tire wall at the first brush of the throttle. But this is undeniably a car that needs respect. The primitive traction control cuts in brutally, even with meek throttle inputs, and in a world without reset buttons, I’m not keen to turn it off. Especially not with Adam watching on. It’s mightily exciting, the Supra, but I think it would take some learning. That’s the opposite of the rowdily winged 4WD sports sedans (from GT’s ‘4WD’ class). 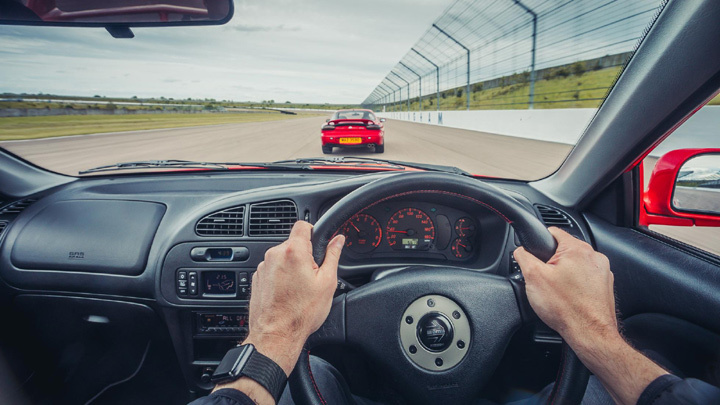 Hop in the Impreza Turbo (brought along by Mark Jarvis), and any thoughts of slowly working up to its limits are thrown away at the first corner. This is a joyously welcoming car to drive. After the Supra, it feels like you’re sat on its roof, which exaggerates its body movements. 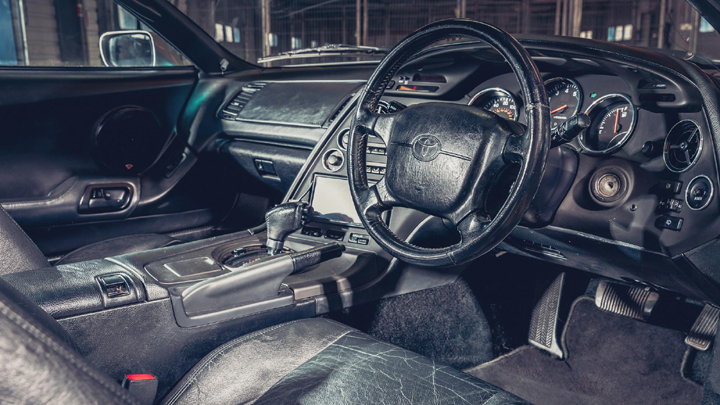 I’m not sure I’ve driven such a flamboyantly agile car; the steering is super-keen and flicks the car into corners in an instant, and with spooky intuition your right foot tweaks its throttle position to adjust the car’s attitude. It’s got incredible balance, and makes its driver feel like a hero from the off. The rear moves around so nicely—in a subtle way that rarely needs corrective steering—and while its 215hp makes it modestly powered in this company, I’d reckon on being able to drive this harder than anything here, making up any spec sheet deficit with wild commitment. It’s a car that requires no learning, no ream of performance car experience. The beginner can jump in and feel like they’ve been driving fast cars for years. It’s confidence-inspiring and comforting like a hot hatch, but with the extra depth that a driven rear axle brings. I’d be flouting a motoring journalism by-law to not jump straight into the Impreza’s arch-nemesis, the Mitsubishi Lancer. 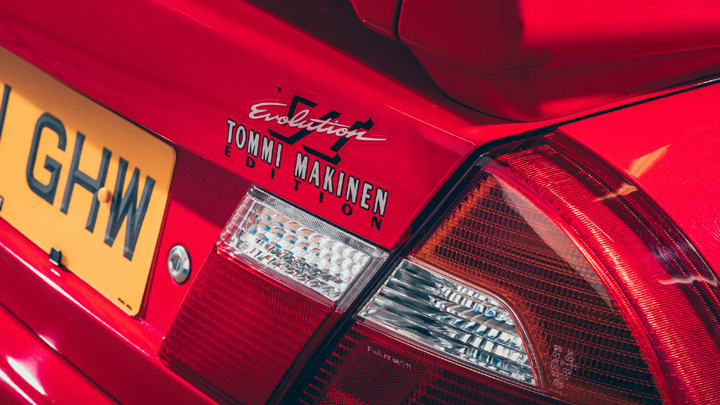 Here it’s in Evo VI Tommi Makinen form, a stickered-up special to laud one of Mitsubishi’s greatest rally drivers, and with 276hp to lift it above the Subaru. On GT, it would be A rather than B class. And it’s as magical as the Impreza to drive. Perhaps more so. It’s immediately up on its toes, eager to play. While its 4WD system no doubt delivers strong grip when you want to drive in an efficient manner, that’s utterly irrelevant. It’ll be barely half a lap before you’re turning it in on the brakes to get it moving around. It has a superb manual gearbox and really sweetly set up pedals, making it a joy to work its heavily turbocharged 2.0-liter engine. It angrily soars to its redline in a way modern turbo hot hatches simply don’t. But while most of its muscle is above 3,000rpm, it’s not bogged down by turbo lag at low revs. It’s a touch less adjustable than the Impreza, but I think that’s because it’s on stickier tires. I adore both of them; in the real world, with sumptuous feel through a steering wheel rather than the shallow flick-flack of a joypad, they demand you prioritize fun over outright speed. The final pair take themselves more seriously than that. These are sub-supercars, and while they claim the same 276hp as the Evo, they’re faster and considerably more exotic in practice. 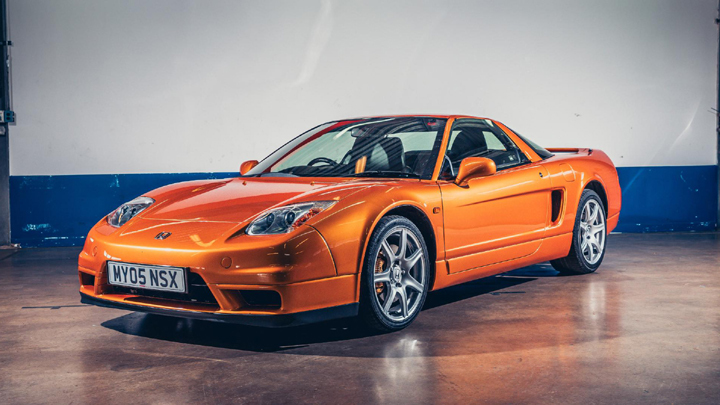 The Honda NSX needs little introduction, and it was truly famous before GT. It was the everyday Ferrari, a usable sports car with enviable pedigree. The engine is a superstar in this company, the only one free of turbos and the most sonorous in voice. 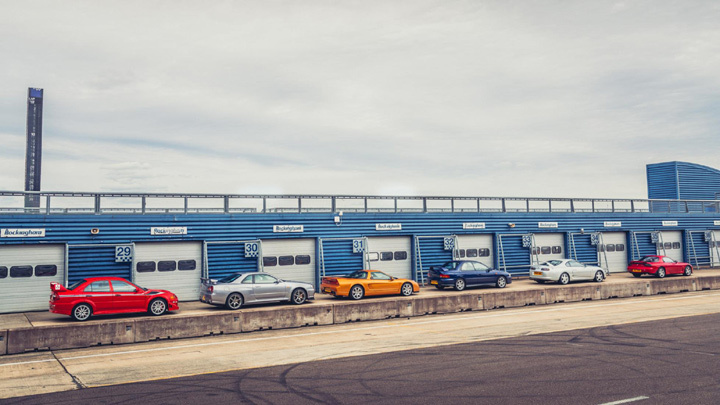 A 3.2-liter V6 with a red line beyond 8,000rpm, it delivers the biggest high of this whole group—when you change up at the top of third gear at the top of Rockingham’s bowl, the howl is almost deafening. 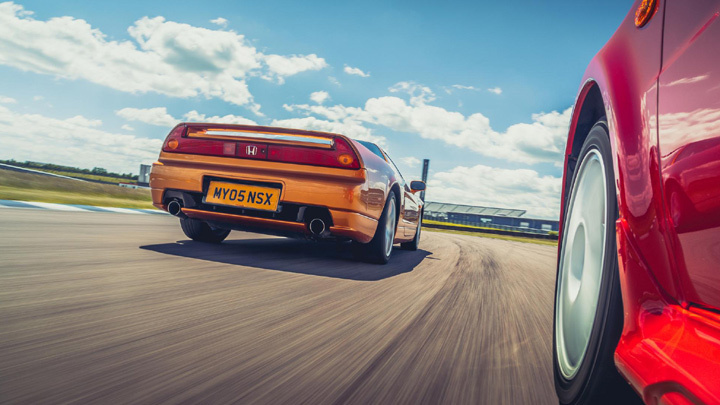 The NSX’s manual gearchange, if you’d not heard, is one of the all-time greats. It’s a serious car that makes the sedans feel a little slapstick, and it’s clearly a car that McLaren drove a lot when developing its new-age supercars. The windscreen is as vast as a bay window, while the steering is superbly set up. Even on Rockingham’s tight infield corners there’s never any reason for your hands to leave the quarter-to-three position. 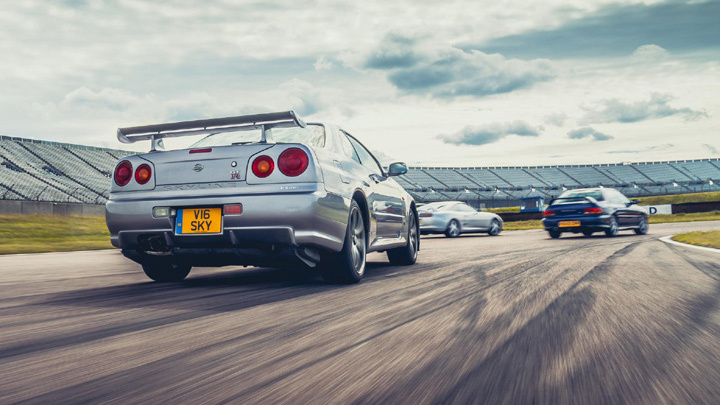 An equally brilliant rack sits in the Skyline GT-R, here in late '90s ‘R34’ guise. Nissan started official UK imports of these just as GT was really taking off, and I’d argue their success is intrinsically linked. 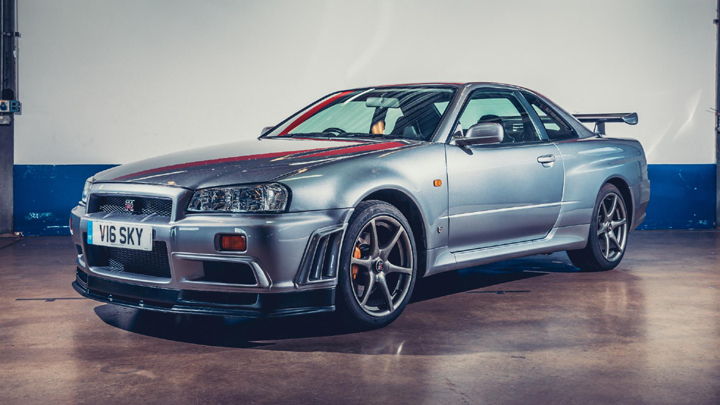 The R34’s data screen—component temperatures, lap times, g-force—surely appeals most to the PlayStation generation who first drove fast cars on a boxy 14-inch television with a smattering of numbers on the screen. The Skyline’s graphics have dated as much as the original GT’s, but they still bewitch everyone here. As does the whole car. It’s fantastic. While everything else betrays its '90s roots with plenty of body roll (even the NSX), the Skyline is always flat. Another 4WD car, it welcomes in its driver with tactile controls and predictable handling. In the dry, there seems endless grip to rely upon. It feels supremely taut in its responses and so, so fast—like it could lap the others with ease. 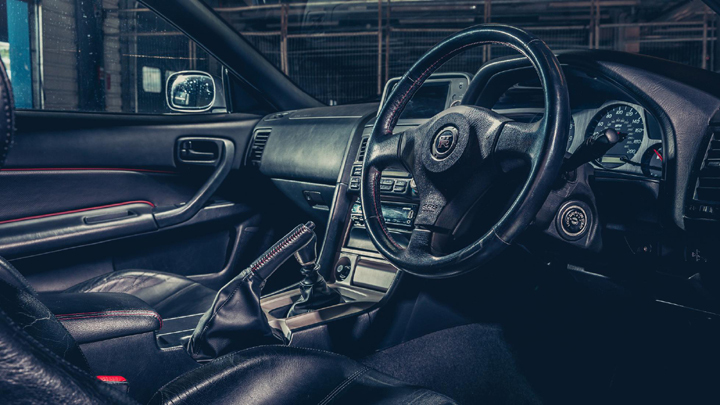 But so beautifully judged is its steering, and so feelsome and communicative is, well, the whole car, it’d be a crime to just follow the grippiest, most efficient line around a circuit. The bombastic power of its twin-turbo 2.6-liter straight-six means it’ll happily slide under power. You need to turn it in aggressively, tell the car that’s what you want to do. But once the rear’s swung around you can feel the clever 4WD shuffling power around as the car drives beautifully out of the corner. The car I defaulted to in my bedroom is the car I’m blown over by 20 years later, on an actual circuit. So it’s clear GT—and its fastidious creator, Kazunori Yamauchi—nailed dynamic realism. But while the game encourages you to be ruthlessly fast, to pick the best car to win, today has proved there’s joy in driving cars for more than sheer speed. 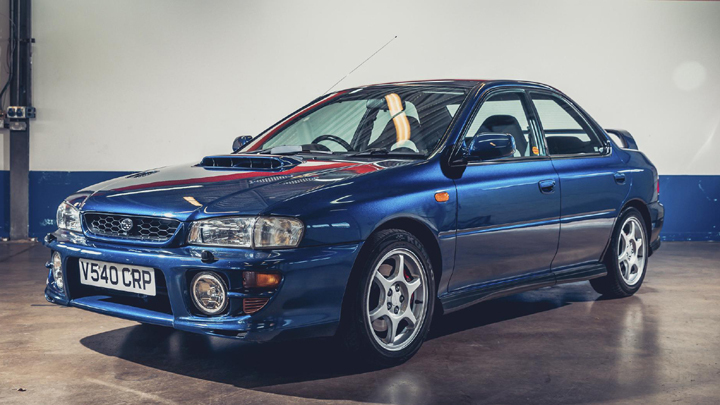 The two that have forced me unwisely into the classifieds, ones that demand real money, not imaginary credits, are the hoodlum sedans, the Impreza and Evo. They’re two of the best cars I’ve ever driven. In the electronic and the real world.